Mac OS X Mountain Lion 10.8.5 Build 12F45 | Free eBooks Download - EBOOKEE! Posted on 2013-10-14, by tuongyda14. 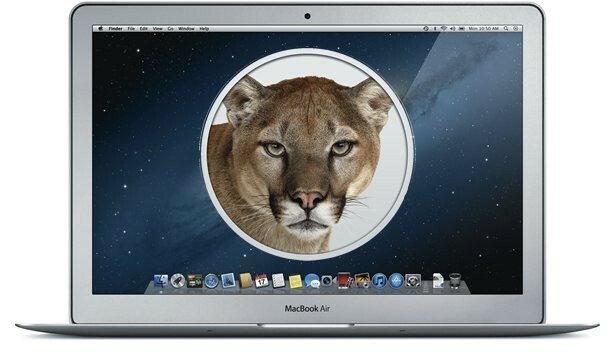 OS X Mountain Lion is the latest release of the worldâ€™s most advanced desktop operating system. Mountain Lion includes over 200 new features to update your Mac into the best computing experience yet. With the new Messages app you can send text, photos, videos, contacts, web links, and documents to anyone using another Mac, iPhone, iPad, or iPod touch â€” you can even start a conversation on one device and continue it on another. The new Share button makes it easy to share files, web pages, photos, and videos, as well as tweet right from the app you are using. With the Reminders app you can create to-do lists and alerts that appear in the new Notification Center. With Notes you can write down all your ideas and even speak your words with voice dictation. Play head to head games on your Mac with friends on their Macs or iOS devices with Game Center. And with iCloud built in, itâ€™s simple to keep all your mail, contacts, calendars, reminders, notes, to do lists, music, photos, iWork files, PDFs, and more up to date across all your devices. â€¢ Send messages from your Mac to friends with an iPhone, iPad, or Mac. â€¢ With iMessage, you can start a conversation on your Mac and pick it up on your iPhone or iPad. â€¢ Messages also supports traditional instant messaging services like AIM, Yahoo! Google Talk and Jabber. â€¢ Documents in the Cloud lets you create and edit your documents on your Mac, iPhone, and iPad. â€¢ The new Reminders app makes managing tasks easy. Jot down your thoughts with the new Notes app. And iCloud keeps your Reminders and Notes up to date across all your devices. â€¢ Type both searches and web addresses in the new Smart Search Field. â€¢ Pinch to see tabs with Tab View and swipe to switch between them. â€¢ New notifications appear in the top right corner of your screen. â€¢ Open Notification Center from anywhere in OS X to see recent notifications. â€¢ Configure your notifications to receive just the ones you want. â€¢ Share links, photos, videos, and other files right from the app you're in. â€¢ Share with Mail, Messages, and AirDrop. â€¢ Sign in to Twitter, Flickr, and Vimeo once to start sharing. â€¢ Tweet right from your apps with the Tweet sheet. â€¢ Play live multiplayer and turn-based games against friends on iPhone, iPad, iPod touch, or Mac. â€¢ Log in to the Game Center app to see friends in your gaming network. â€¢ Check out leaderboards and achievements. â€¢ See what games your friends play and track your progress against them. â€¢ AirPlay Mirroring shows your Mac screen on your HDTV with Apple TV. â€¢ Power Nap keeps your Mac up to date while it sleeps so it's instantly ready to go. â€¢ Gatekeeper makes it safer to download apps from the Internet by giving you control over which apps can be installed on your Mac. â€¢ New features for Chinese users include improved text input, leading search engine Baidu as an option in Safari, sharing to microblogging service Sina Weibo and video websites Youku and Tudou, eight new fonts, and a new Chinese dictionary. Buy a Premium Account Rapidgator or Uploaded = High speed+parallel downloads! No comments for "Mac OS X Mountain Lion 10.8.5 Build 12F45".